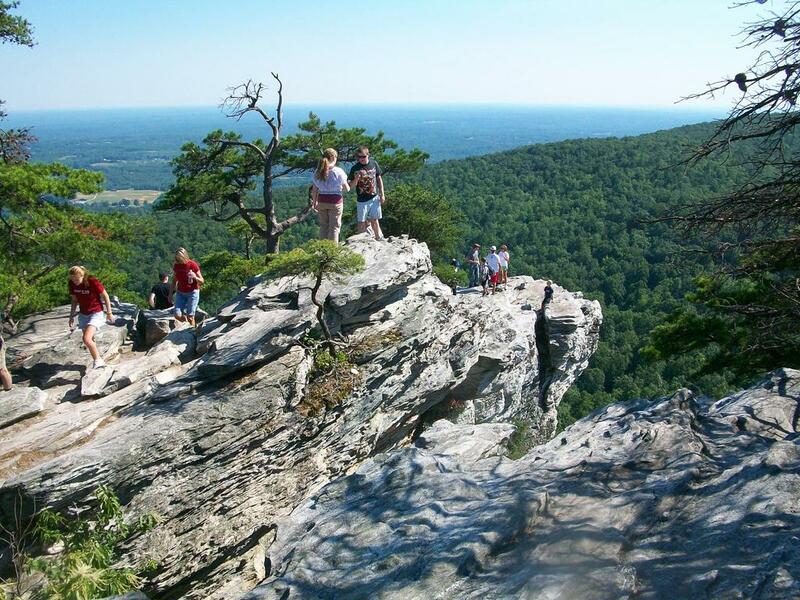 If you're visiting on a summer weekend, the summit of Hanging Rock is likely to look a lot like this - big crowds. Still, it's well worth the hike for this view. Only - don't take unnecessary risks (like some of the people in this photo) and stay back from the edge a bit. That's quite a drop-off there and a fall would be deadly.